Omnigrid 20.5 square-up ruler (optional) . 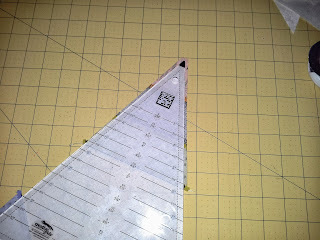 Any other ruler to cut squares this big would work too. 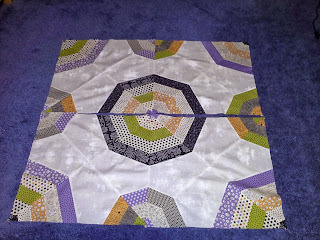 Piece 5 jelly rolls together to form the larger strip set. Using the spider web ruler cut the large triangles. 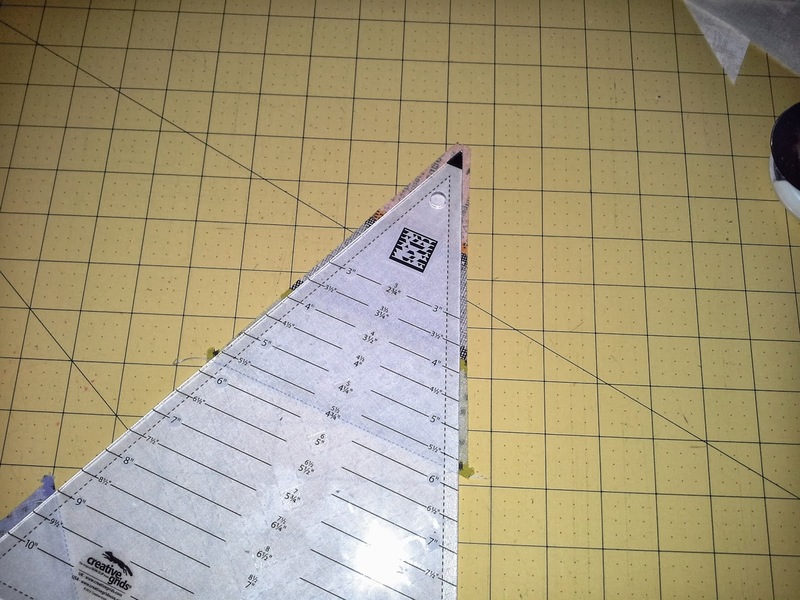 We're using 9 marked on the side of the ruler or use the tip of the ruler aligned as shown below. 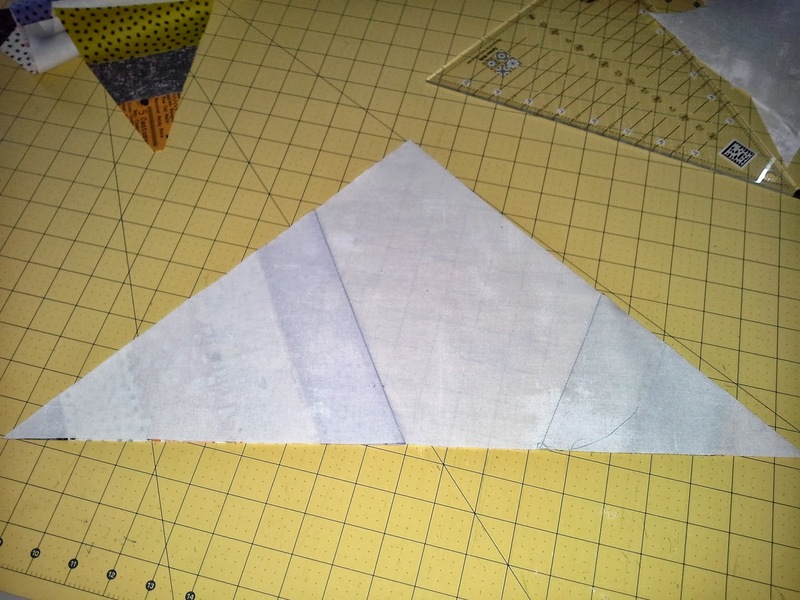 These are slightly bigger triangles than we needed. 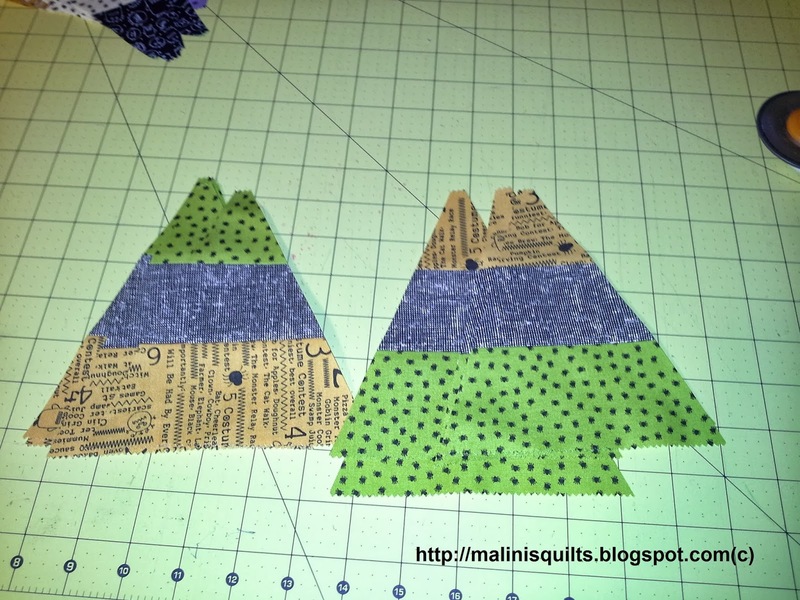 But this gives us some room for trimming later to the desired size. You should now have 8 triangles with black as the base and 8 triangles with purple as the base. 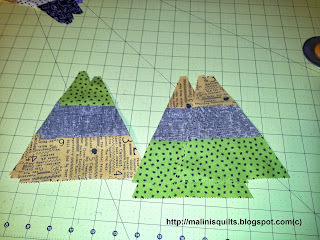 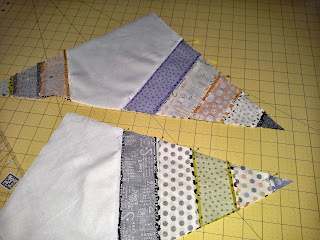 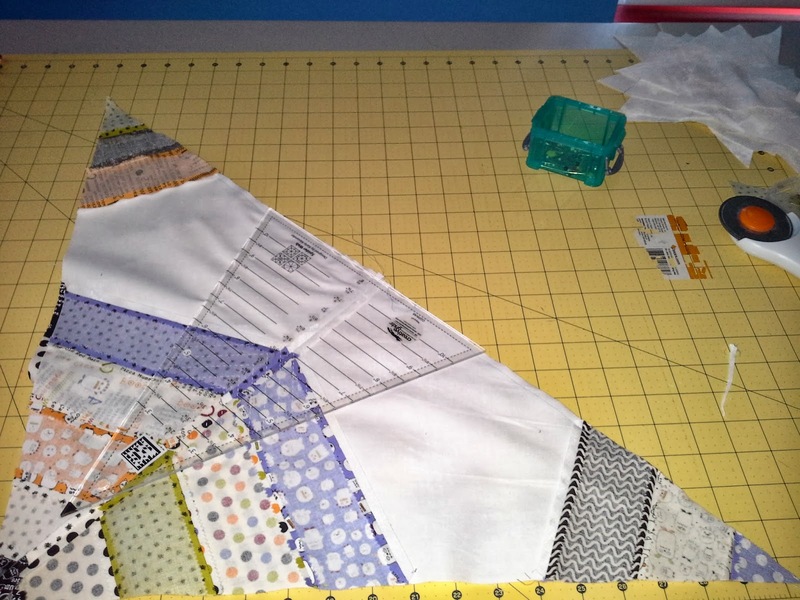 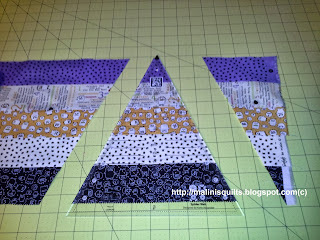 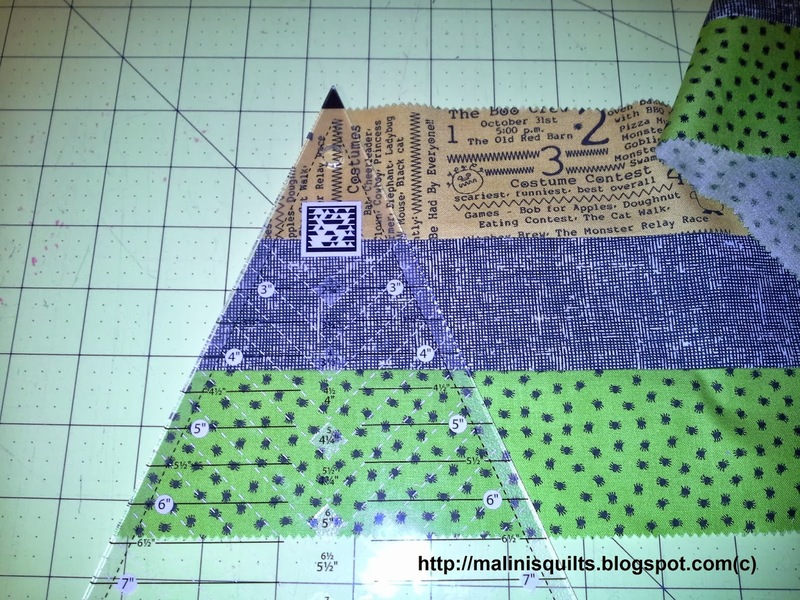 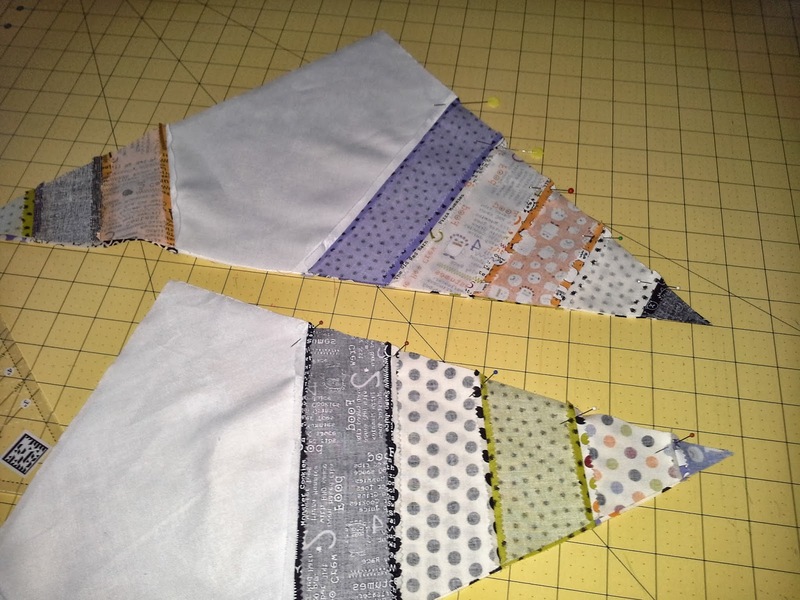 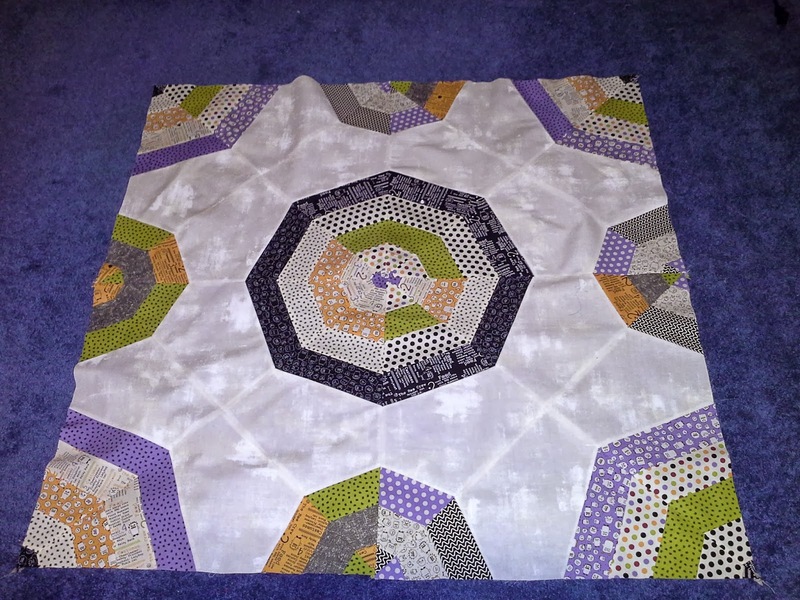 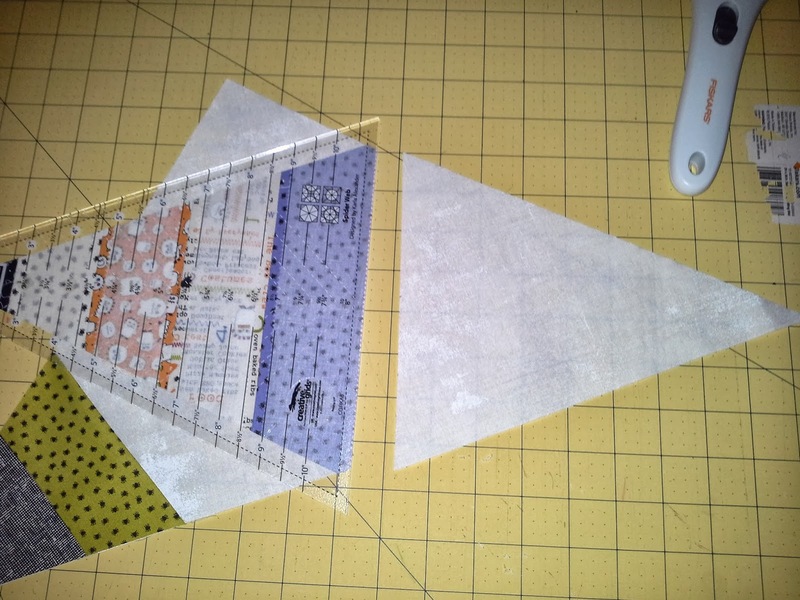 Repeat the same for smaller triangle using the 3 jelly roll strip set. 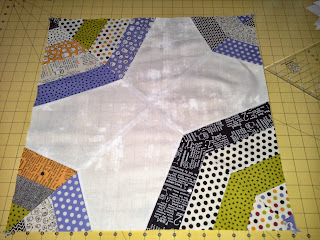 This will be used for the smaller spider web. 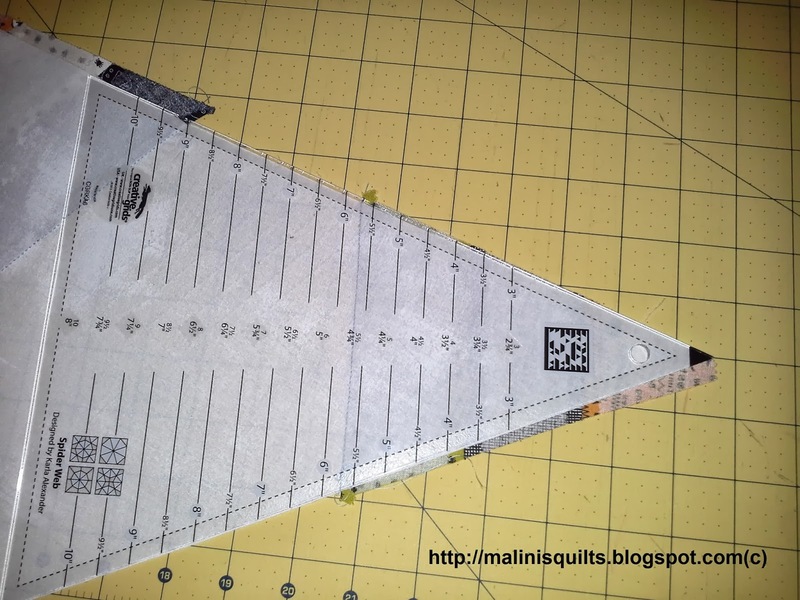 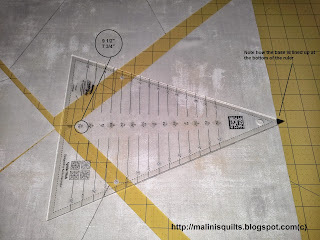 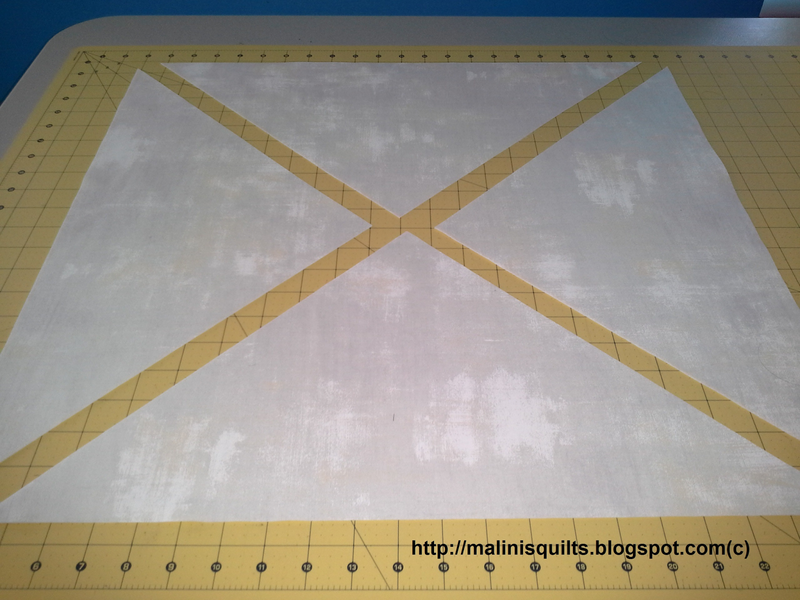 Now align the line marked 3 on the ruler with the base of the triangle. Slide it until the other corner which reads 7 1/2 matches the edge of the background triangle. 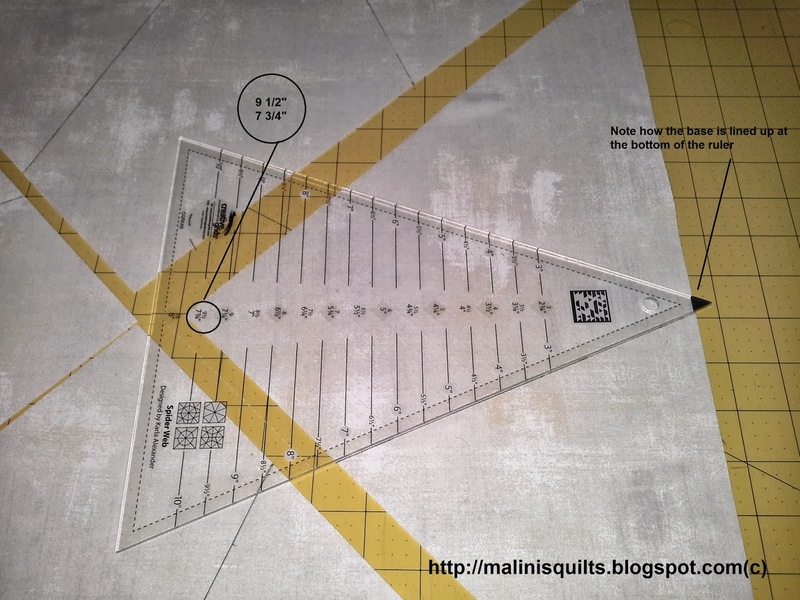 This will be the marking for our smaller triangles. 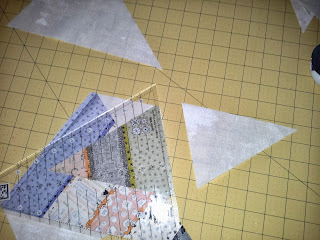 Sew the larger triangles(5 jelly rolls pieced together) onto the background triangle by aligning the raw edge with the line we marked. You can chain piece these. 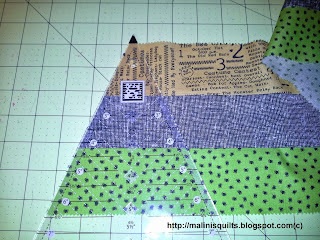 Repeat the process for the smaller triangles. Align the ruler on the smaller triangle so that the edges of the ruler match the edges of the background triangle and the tip of ruler is aligned with the tip of the pieced triangle. Repeat the same for other side of the triangle. 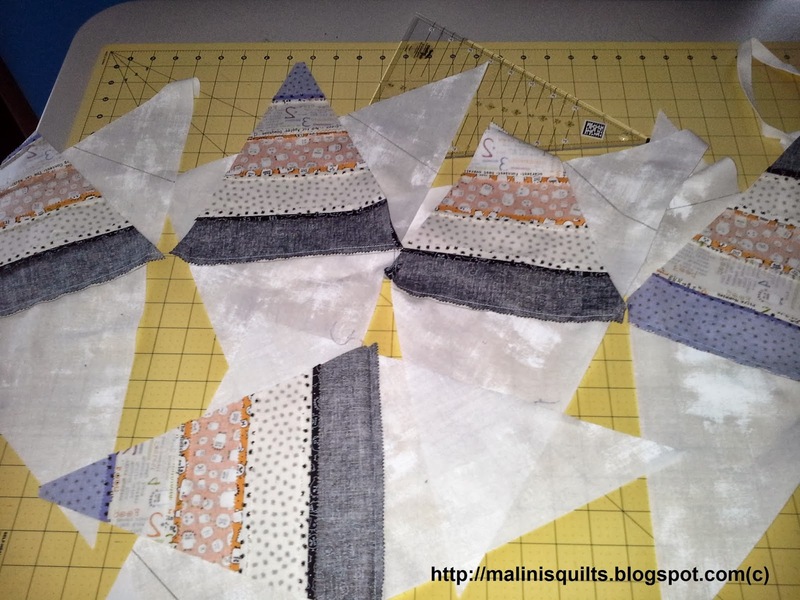 Once all the triangle blocks are trimmed arrange them as desired. 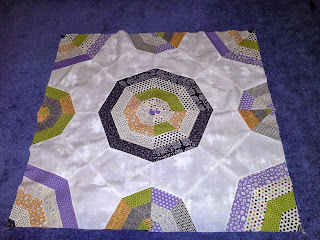 In each of the square I have 2 large triangles with black as the outer ring and 2 with purple as the other ring. 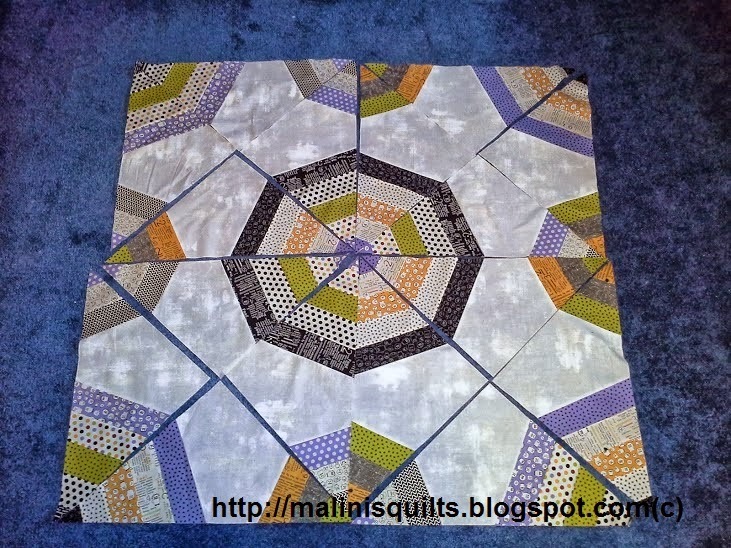 Once your happy with the layout start sewing the squares together. Pin the outer rings first align the seams and then pin the rest of the seams. 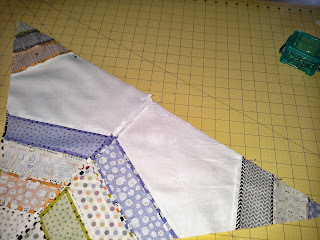 The bias edge does have little bit room for fudging if your seams don't match. Just don't pull them too hard, just a little nudge if the seams don't match. 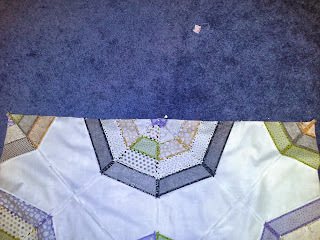 As you put the blocks together Press all seams open. 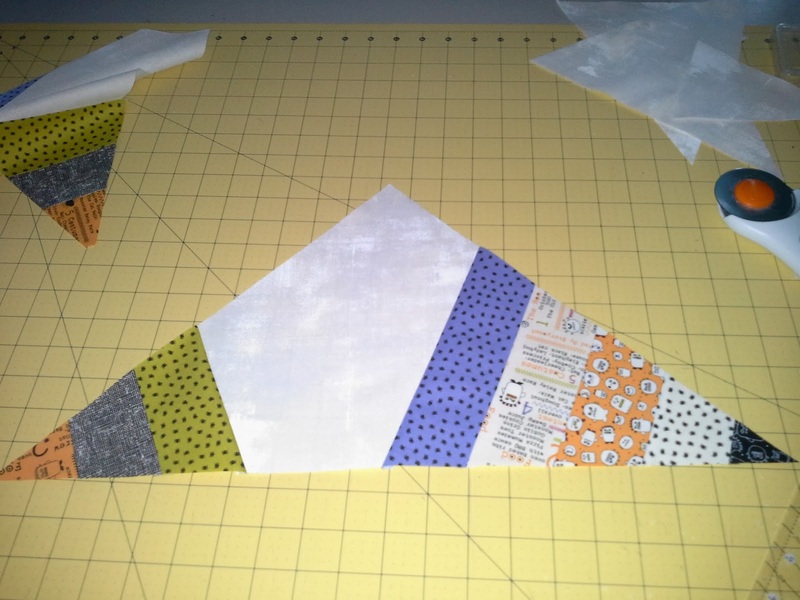 Trim off any excess seam. 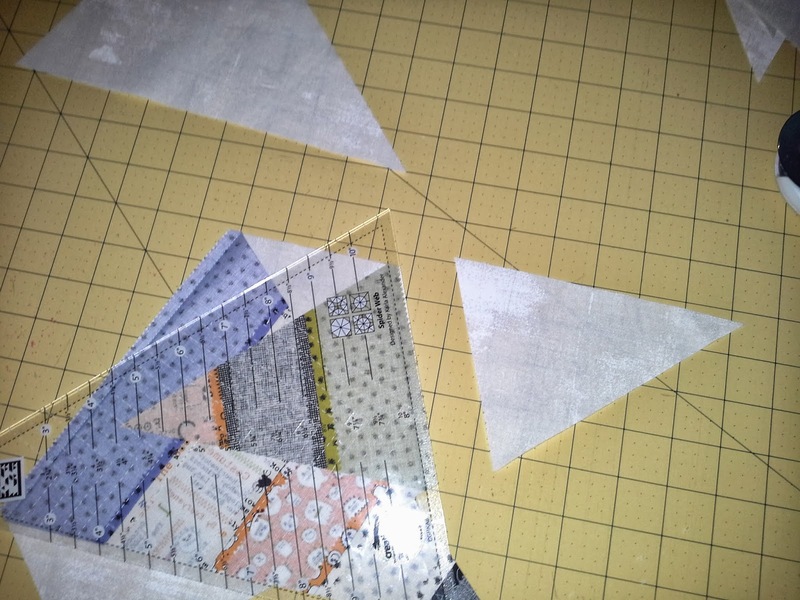 If your marking,cutting &piecing was perfect you can skip this step. 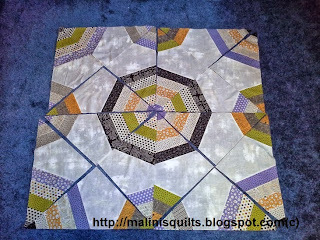 You need at least 4 blocks to start seeing the one complete spider web. 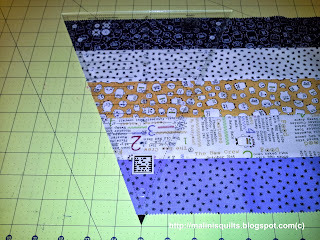 I hope you enjoyed this tutorial. Please leave any feedback you might have. 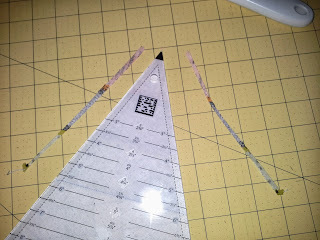 Liz@ Bits N Pieces carries these Creative Grid spider web ruler get them before they're all gone. 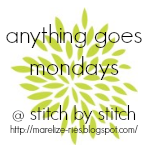 Linking up to Anything Goes @ Stitch by Stitch . 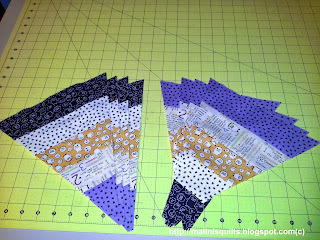 Love the colors used in your spider web! 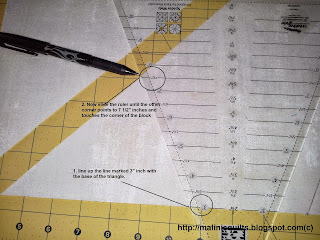 Great tutorial too! 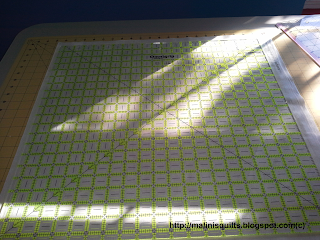 You put a lot of time and effort into it! 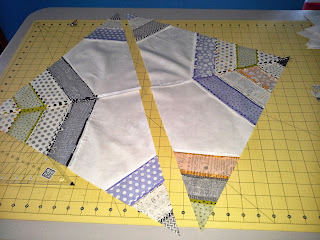 So in essence you have two different size webs - is that correct? 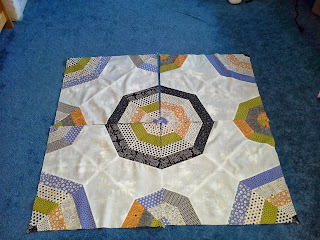 Is this the finished quilt or will there be more units added? Awesome either way!! 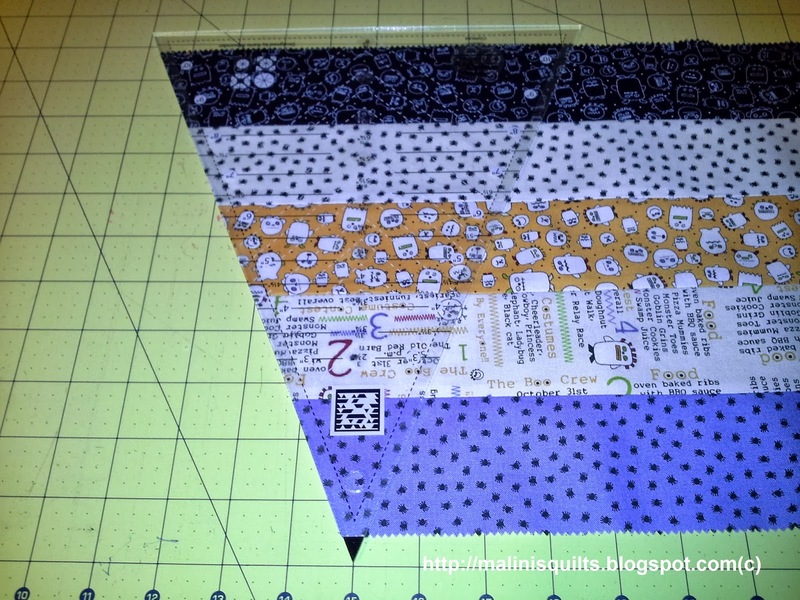 Excellent tutorial, not to mention color choices, great job there too! What has been your favorite color for the spider web blocks? Great tutorial! 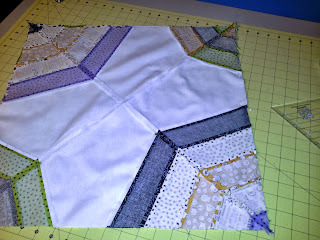 Love your spider web quilt!